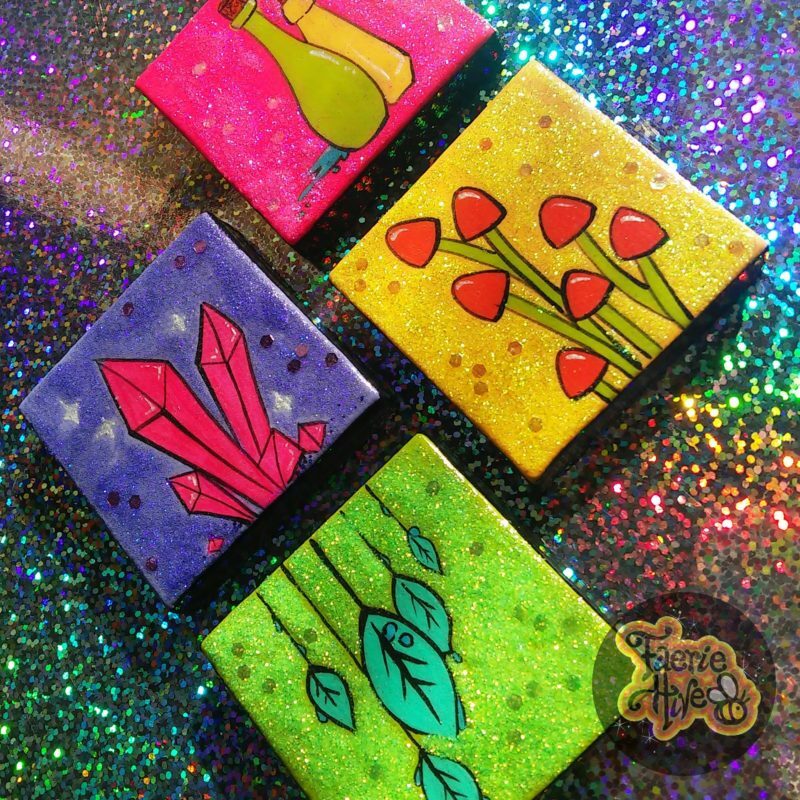 Four tiny canvas paintings of magickal items. A cluster of pink crystals, two potion bottles, dewy leaves, and an orange mushroom colony. Generously coated in glitter and a thick, shiny glaze.